Andreas Dür and Manfred Elsig, the co-editors of Trade Cooperation, break down the preferential trade agreements that have become nearly ubiquitous since the end of WWII. The negotiations for a Transatlantic Trade and Investment Partnership (TTIP) between the European Union (EU) and the United States are currently receiving much public attention. In much detail, observers debate specific aspects of these negotiations, such as investor–state arbitration or product standards. What often gets forgotten in these debates, however, is that while TTIP is set to be an important trade deal, it is only one among hundreds of preferential trade agreements (PTAs) currently in existence. In fact, since 1945, countries worldwide have signed close to 800 PTAs in which signatory countries have made concessions to liberalize trade with one another but do not extend these concessions to third countries. Most of these PTAs have been concluded over the past 25 years. Besides the impressive growth in the number of PTAs, what is most interesting about this phenomenon is the remarkable diversity of the agreements that countries design. It is this latter aspect that we focus on in a book just published with Cambridge University Press, Trade Cooperation: The Purpose, Design and Effects of Preferential Trade Agreements. First, what explains variation in PTA design? Why do some trade agreements deal with services trade liberalization, competition policy or internal and external security threats whereas others do not? And why do some agreements contain far-reaching dispute settlement provisions whereas others do not? Second, what are the consequences of this variation in the design of PTAs? Do deeper agreements create more trade than shallower agreements? And what do design differences mean in terms of the consequences that PTAs have for the multilateral trading system built around the World Trade Organization? The volume’s chapters present both fresh insights and novel answers to these questions. With respect to the variation in PTA design, we show that while trade agreements tend to have some unique features, countries do not design PTAs from scratch. Rather, they opt for a specific model and then adjust this model to fit their requirements. For example, most recent agreements signed by the European Union tend to be similar. So are most agreements signed by the United States, which follow the template provided by the North American Free Trade Agreement twenty years ago. Also market structures and business organization explain the shape of these agreements, such as the extent to which trade is of an intra-industry nature and whether companies rely on production networks across borders. Overall, we see that the design of trade agreements is not only geared towards maximizing their welfare effects, but strongly responds to political and strategic considerations. 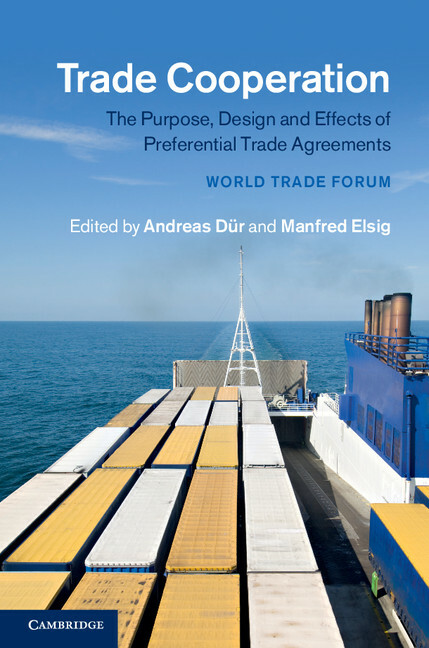 On the question of the consequences of variation in PTA design, several chapters show that more far-reaching agreements do indeed create more trade and thus potentially have a greater positive impact on member countries’ welfare. But there is still disagreement as to just how large these effects are. What seems clear is that not all provisions included in PTAs are equally effective. The government procurement provisions, for example, do not lead governments to increase their purchases abroad. By contrast, provisions liberalizing trade in services actually show remarkable results. Together, the findings reported in our volume have important implications for the TTIP negotiations that are currently in the spotlight. For example, given that both the EU and the United States tend to follow quite distinct templates in negotiating their PTAs, it comes as no surprise that agreeing on the specific contents of the TTIP agreement is proving difficult. At the same time, the findings indicate that TTIP would be likely to have positive effects on trade flows across the Atlantic, which should stimulate economic growth in the EU and the United States. Trade Cooperation thus sheds light on the issues that are currently being publicly debated by putting them into a broader context.